An easy, healthy chicken dish with a special sweet and sour tang! Goes great with rice and salad. 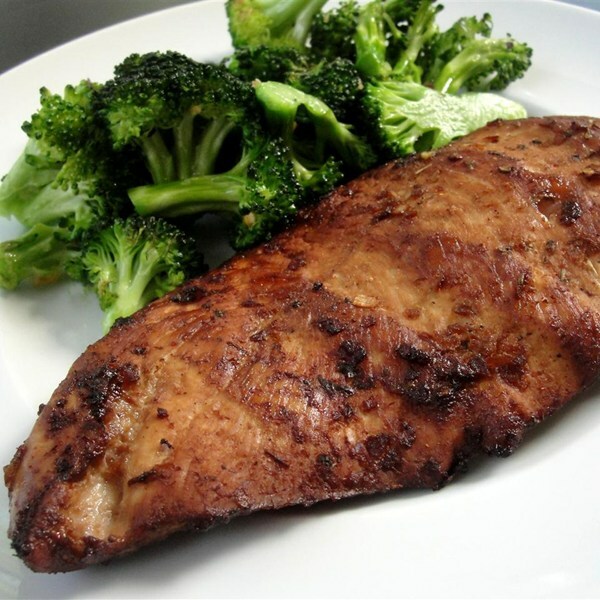 Place chicken in a 9×13 inch baking dish; sprinkle with onion, garlic, seasoning, soy sauce and sweetener. Place foil over pan and bake for one hour at 425 degrees F (220 degrees C). It’s ready to serve!